I’ve celebrated my second year anniversary with blogging last April 28. It started out one afternoon two years ago when my bestfriend JennyL coaxed me into opening a journal of my own. I was in their internet café then and it seems so nice venturing into a seemingly exciting online hobby. Had I known that it would lead me into a new perspective in life I would have started it earlier. Somehow having a site of my own help my dream of writing materialized. Having a blog leads the way for me to share my thoughts, my dreams and my life with Jesus. 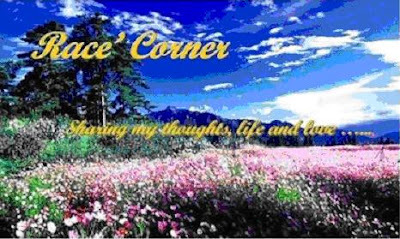 I started in my very first blog my Race Corner which paved the way for a life outside my office. It’s a respite for me, a breathing space between my household responsibilities and office work, a place where I can share everything I want to. After 2 months I opened another site which I dedicate for my spiritual thoughts and everything that proves that life is indeed A Beautiful Life. I didn’t stop there as I wanted my own domain and that leads me to opening my first domain ever discussing my life’s journey and sharing all Moments of My Life. This is the blog that became my main site and that blog has helped me augment my family’s financial status. I know God has helped through all this giving me wisdom on writing. When I decided to resign from my 16-year job to have more quality time with my family I opened My Crossroads with the inspiration of dealing with the major decisions that I made with my life. With all these blogs that I’ve shared with my friends I’m happy to be a part of my visitor’s life. Hope I’ve imparted some inspirations on their lives and be a channel of blessing.